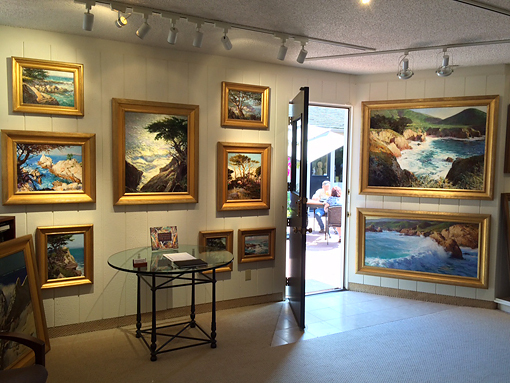 James J. Rieser Fine Art gallery in Carmel, California. This show of thirteen paintings opens this Saturday, August 1st, but I am confident if you want to preview the work before the official opening James would be happy to accommodate you. If you see something you like, and want to jump the opening with a purchase, I'm sure James would be happy to help you out with that. Just let him know I sent you. I will be flying down August 8th for an artist reception, which will be held from noon to 4:00 pm. So hey, if you are going to be in the area come by. I'd love to see you! "New Landscapes: From Carmel to Big Sur" will be up until September 30th, 2015.